colorful fun run | Badudets Everything Nice! Tired of the usual run routes? Here’s one event that definitely puts FUN in a fun run. 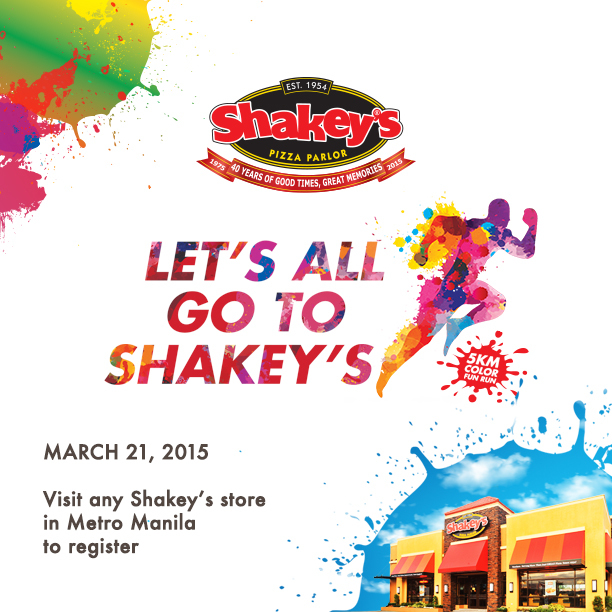 Let’s All Go To Shakey’s Fun Run is a colorful fun run that will happen on March 21, 2015. It’s a 5km that will start at Shakey’s Raja Sulayman, Malate and will end at Shakey’s ASEANA.